For the last ten years, LT Construction & Remodeling has developed an exceptional reputation in the Worcester remodeling industry. Our Worcester remodeling contractors have the ability to service all of your residential remodeling needs. We specialize in bathroom, kitchen, and basement remodeling. We have the ability to handle single room renovations and entire house remodeling projects. Our professionals have the skills to conduct extensive construction projects such as room additions and garage constructions. The only constant in our many services is our goal to leave you completely satisfied. Call us today if you have been considering any residential remodeling project in Worcester. Our courteous and polite staff would be excited to discuss your prospective project with you. We would be happy to inform you as to how our many services can fulfill all of your remodeling goals. Our staff can answer any questions that you may have and schedule your appointment today. Adding an outdoor living space to your home starts with finding the right porch and deck building contractor to work with. Locals here know the company name to trust in is LT Construction & Remodeling, Inc. With over a decade of hands-on expertise in the industry, we are proud of the impeccable reputation that we have managed to build for ourselves. The best part of any room addition project is the fact that you and your family get to design this new area specifically for your unique needs. We want you to be active during the construction process because we know that you will maximize your satisfaction by ensuring that all of your goals area accomplished. Our room addition contractors will customize this new living space to fulfill whatever objective you have in mind. You and your family will enjoy the benefits of our expertly performed services for years to come. When hiring a contractor to provide basement remodeling services, it is important to go with a contractor that has experience renovating basement areas. Because of the room’s unique location, there are many aspects that are different about basement finishing projects when compared to other remodeling projects. At LT Construction & Remodeling, our basement remodeling contractors have the ability to accommodate all of these differences. If there is any room that is the center of your Worcester home, it is the kitchen. You and your family form some of your most enjoyable memories in this living space. Your kitchen is where you gather after a long day away at work and school. You and your family prepare holiday meals in this room. If you do any entertaining or have guests over, they will eventually end up in the kitchen. As such, our Worcester remodeling contractors believe that every family deserves a custom designed kitchen. Our kitchen remodeling contractors can help you have the most beautiful and highly functional kitchen possible. One of the best ways to improve the look of both the interior and exterior of your Worcester property is to replace your current windows. 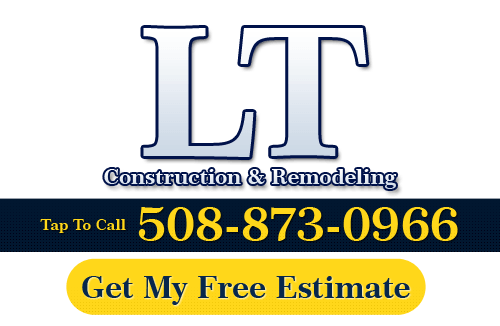 At LT Construction & Remodeling, our Worcester remodeling contractors have the knowledge, skill, craftsmanship, and experience to help you with your next replacement window project. We can match your new windows to any interior and exterior design scheme. During our window replacement services, your satisfaction is our first priority. At LT Construction & Remodeling, we have the skills necessary to construct an attached garage to your Worcester property. Attached garages require the ability to conform the exterior design of your new construction to the current layout of your property. Because our Worcester remodeling contractors are adept at constructing room additions, we have a great deal of experience with this type of work. We can construct an attached garage that can facilitate all of your storage needs.